Su-ming Khoo is a Lecturer in Political Science and Sociology, and Cluster Leader of the Whitaker Institute: Environment, Development and Sustainability and Ryan Institute: Socio-Economic Impact Research Clusters at NUI Galway. She holds a Ph.D. in Sociology and Social Policy from The Queen’s University of Belfast. Her research and teaching connect human rights, global public goods, higher education and ethical perspectives on international development. 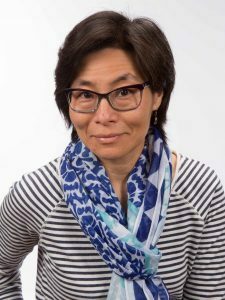 Drawing from human development and capabilities approaches, postcolonial theory, feminism and ecology and arguing for strong sustainability, Su-ming is committed to inter and transdisciplinary research and public scholarship. In addressing the role of higher education and research, she seeks to infuse decolonial perspectives in research and teaching and to enact critical higher education curriculum which asks questions about global ethics and the futures of ‘development’. Su-ming is a member of the International Sociological Association (ISA) Research Committees on Social Movements, Social Transformations and Development, Health, Human Rights and Environment; and the Human Development and Capability Association’s (HDCA) Ethics, Foundational Issues and Human Rights Thematic Group. She co-chairs a World Educational Research Association International Research Network (WERA-IRN) on Higher Education Internationalization and is a member of the Academic Network on Global Education & Learning (ANGEL).